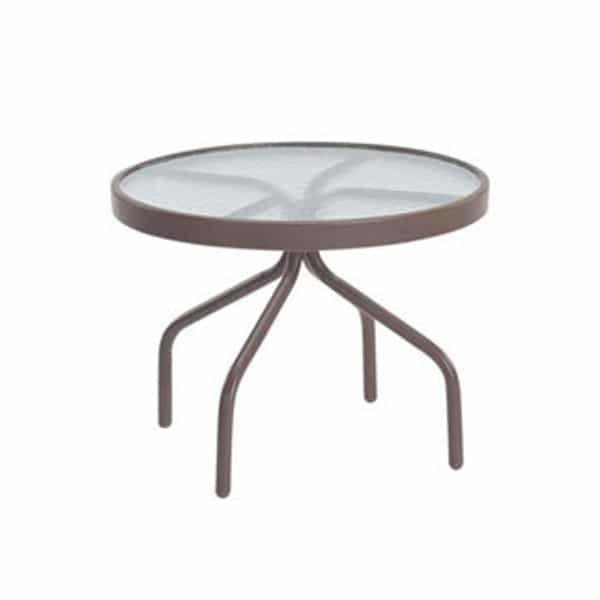 Featured Patio Set Includes: Sofa, Rocking Club Chair, Ottoman, 24"x36" Glass Top Coffee Table & 24" Glass Top Side Table. 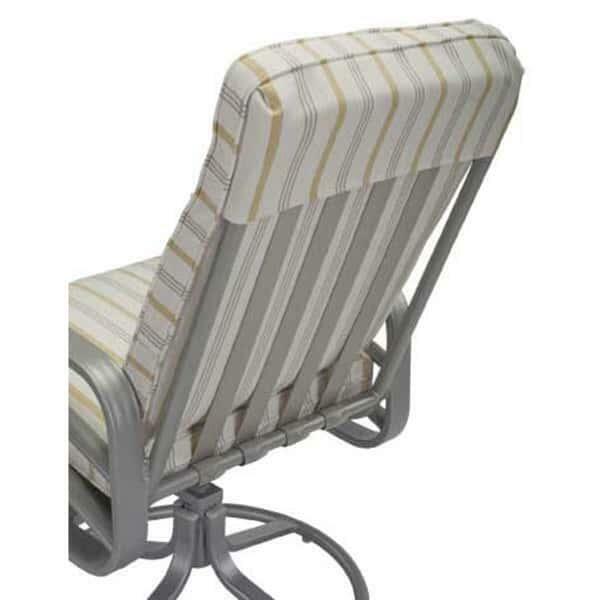 Patio Furniture Made In The USA!!! 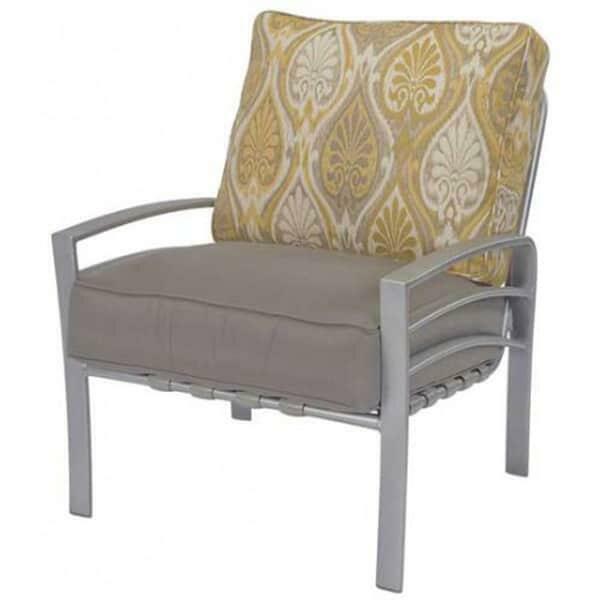 The skyway collection has modern lines and is made from the highest quality materials on the market today. 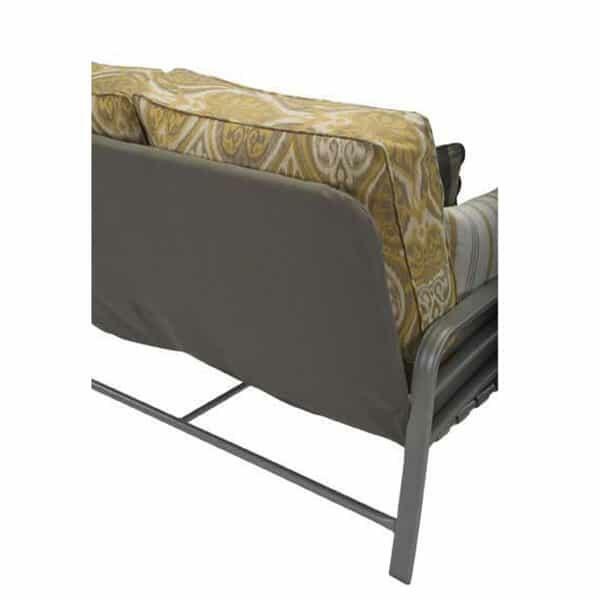 The frames are 100% aluminum, so they are are great for year-round outdoor use and are guaranteed never to rust. 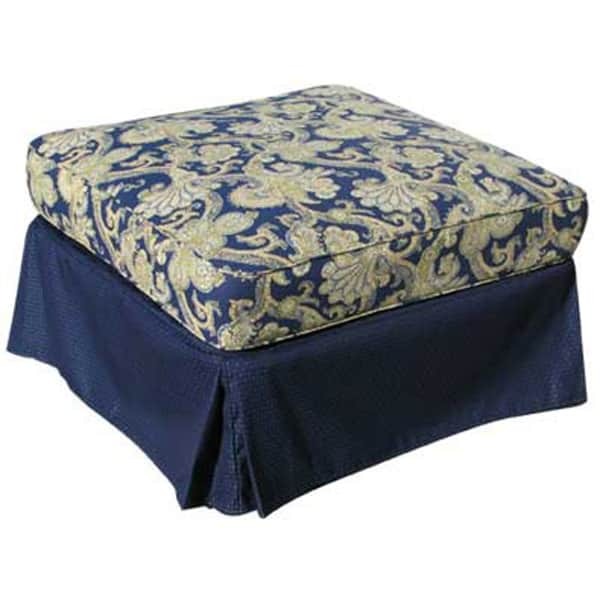 If comfort is something that is important to you, this group features all weather fabric made from solution dyed acrylic that wont fade or mildew and is easy to clean with mild soap and water when necessary; not to mention ultra plush and comfortable. 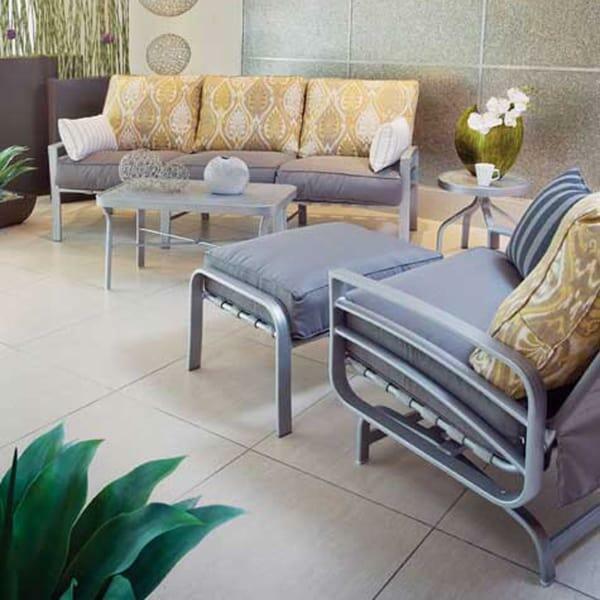 The Skyway deep seating patio collection has a variety of pieces to suit your decor and are all available individually. 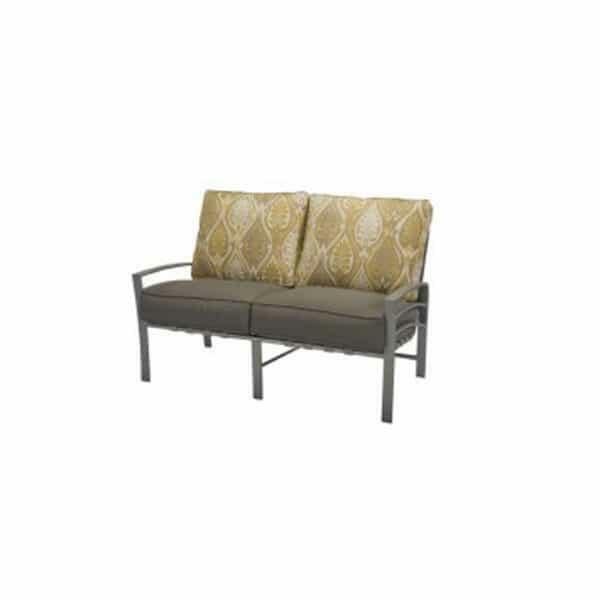 So whether you are looking for an entire outdoor room set or just a few pieces to set out on the back deck, you will find just what you need. 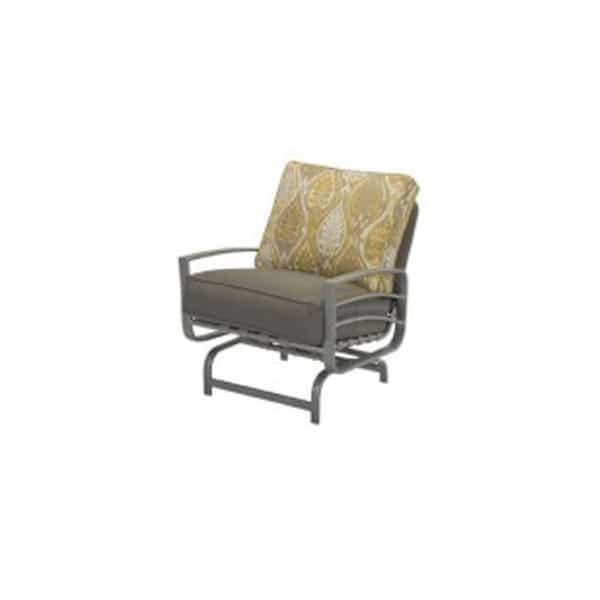 Great value and great quality and it's Patio Furniture made in America! W 55" x D 34" x H 34" LBS 64 SEAT HEIGHT 17"
W 30" x D 34" x H 34" LBS 41 SEAT HEIGHT 17"
W 36" x D 26" x H 18"
W 80" x D 34" x H 34" LBS 85 SEAT HEIGHT 17"
W 30" x D 34" x H 34" LBS 34 SEAT HEIGHT 17"